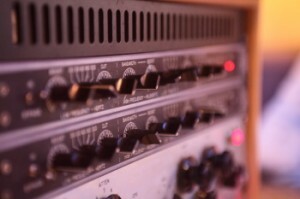 Mega distortion is a distortion type effect that adds power and warmth to any instrument or mix. I made it using a unique signal chain. There is a slight levelling that happens as well allowing details buried deeper in the mix to come to the front. This effect is also useful in beefing up thin recordings. Try it on lame drums or a weak piano. Sampled at 96 khz using Prismsound Orpheus convertors this is a no nonsense – no compromise effect. Ten distortion kernels means that this is a CPU hog so if you don’t have a fast machine – God bless you. EQ first, perhaps with my free Q-clone libraries then place this baby into the mix and hear your mix come alive with power and analog warmth. Use the input fader and drive knob together to increase the effect. The louder the signal is the more distortion you hear. On a loud mix you can really hear the effect. The effect adds gain so turn the output down a tad to avoid clipping your output and do avoid extreme gain settings – Nebula has its limits. Get more free and exciting sampling products on my blog in the coming months. Bookmark my blog as I will be releasing more free stuff in the near future. ‘Smooth eq – expansion pack for Waves Q-clone’. The smooth mix…. I am very excited to offer the second expansion pack of this nature available anywhere to my knowledge. 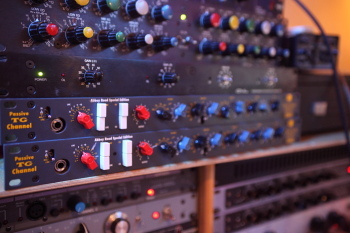 This package is modelled on an EQ that has true NEVE pedigree. The man himself made this one in other words. It can be described as well – smooth and sweet perhaps – never harsh and never really shrill it has a pillowy sound that works well when you do not want a hard sound. This release works well in tandem with my first release Superlative EQ . Superlative Eq is a slightly harder sound, glassy perhaps or diamond topped as they say. This package took me five days to put together so I hope you will appreciate the time and effort put into making this a tool for your super fast mixing. This set of presets is sampled to the highest specifications such that the difference between the sampled hardware and the sample you use is in the magnitude of negligible. This is truly analog sound in the box with no compromises. This set is sampled using Orpheus by Prismsound and is considered by some to be among some of the best convertors in the world. I have used short DIY gold tipped cables to connect the hardware to the box so there is virtually no loss in quality. Don’t settle for emulations costing far more and sounding inferior. Get great quality presets from my blog in the coming months. Welcome to a new way of mixing. Basically I have taken the hard work out of your hands by spending hours studying recordings to find settings on my hardware that are generic enough to be used by a wide range of people on a wide range of instruments. But you might say – what if I don’t like your mixing decisions……don’t worry – I have given you plenty of wiggle room as each folder has numerous presets with subtle and also vast differences. Next unzip the package and place the folder anywhere but in the Q-clone folder as it slows down the loading and the menu system is not that intuitive. I suggest you place them anywhere and use the load dialogue. On windows set the open dialogue explorer window to ‘list’ so that all the presets are visible without the need to scroll. The way to do this is to right click – go to view – and choose list. Not sure of a Mac. from the same family differ so much in timbre that no preset is perfect every time. However because there are so many you will find that some presets overlap in their usability. A preset made for a piano may well suit electric guitars and those made for kick drum may well work on bass. There are no effective rules so please just go ahead and experiment with what sounds work for you. At this point perhaps you may want to download my other free offering that compliments this library perfectly from my blog http://www.henryolonga.net/Blog/?p=266 . This package you want to unzip- and place in your q-clone presets folder which is in the Waves folder in program files. This is because you want to have this available to you in the preset menu. This will come in handy when you like a preset but wished it had an adjustment somewhere such as less bass : in that case you could use the high end tracking eqs low shelf to remedy this or use the other eqs in Q-clone. 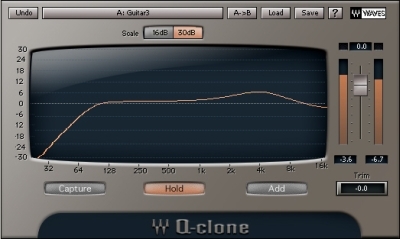 Simply use the add feature in q-clone to add the adjustment using this high end tracking eq. And it also allows you to mix just with that particular eq and avoid my decisions altogether – but what’s the fun in that hey…..
You may also want my other presets library ‘colour mix’ which adds even more flexibility to mixing. http://www.henryolonga.net/Blog/?p=478 . Some eye opening stuff there. Again – probably best not to place it in your q-clone presets as it is a vast library. Once you have unzipped the ‘Superlative eq expansion pack for Waves Q-clone’ and placed it in a convenient location such as the audio drive you use, you will want to take this package for a test run………..q-clone is so simple that even a novice could mix with it………just click load, chose a preset and off you go.If you like it ….great – if you don’t, try another until you smile…….. I suggest you use these first in your chain on a track. Obviously the buss stuff is exempt but I find that with the tight kits for example – if I compress after the Q-clone preset with a good compressor like CL 1B or Sonnox dynamics, it sounds crazy good. The full mix and drum folders may help lift your mixes to give them a more polished sound. You may want to use these sparingly as the polished sound of the eq may begin to build up and you can go way OTT quickly and it becomes a harsh brittle mix quickly. So use if you have material that is dull or flat. But on the right material these can be incredible. Once in a while there is a bizarre bug in the plugin that may either make the volume 12 Dbs or – 48 Dbs. So if you get your head blown off or hear nothing – check the level meter. All of the presets were sampled at unity gain so simply get things back to zero and re-save the preset. Also because of this please make sure you trim your track input by maybe 15 – 20 Dbs. In Cakewalk Sonar I just go all the way to minus 18.This is good audio gain staging anyway. There are also some really loud presets so please take care when loading them. Never run the plugin into the RED – it does not saturate so clipping is hard digital clipping that is very unpleasant. Please leave a comment on my blog if you enjoy the use of these samples and if you really dig them it will be of great encouragement to me to sample more stuff. The other thing you could consider is sampling your own gear and sharing that too…..
Good luck mixing with this, it is my first Preset packaged eq for Q-clone and I hope it gives you absolutely first class results. In the coming months I will be starting to do sampling for Acustica audio’s Nebula.Not sure what I will start with but stay tuned. MIX in minutes with exceptional quality.Try the DEMO to determine if you like it.The demo has 86 of the 1055 presets in the package. Also check out my second library that compliments this well Smooth eq. 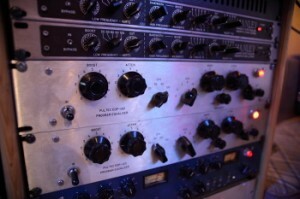 If you use these two eqs with my FREE Nebula distortion patch – you will get very nice results. 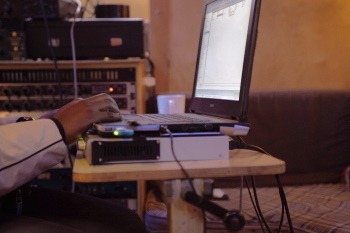 So perhaps you’ve never considered mixing with presets before.But you know when the client list is too long to handle and you have a tight deadline to meet – or the workstation has run out of DSP?Or your workstation cannot run that nice and juicy sounding cutting edge plugin made for computers due in 2015.Or you invested in one of those Waves APA systems but hardly use it.Or perhaps it’s one of those weeks where the holiday season hasn’t left you yet and you would rather be at home rather than mixing.Well I may just have a tool to add to your arsenal that may help on those days………..
‘Superlative eq expansion pack for Waves Q-clone’.The polished mix…. I am very excited to offer the first expansion pack of this nature available anywhere to my knowledge. This package is modelled on a very clinical clear EQ that is revered in most studios for its reference transparency. The wide bands make for a very musical boost that doesn’t overly colour the sound although it does make it sound better somewhat .The cuts are almost invisible. So because of this the package should be useful for a wide genre of music but it’s clear focussed and maybe ‘hard sound’ makes it suited more for some genres that don’t mind a clear polished sound. No fuzziness here – it is an honest zero distortion package that treats your material with respect. The better the source the better it sounds.Of course if you want distrotion you can use other plugins for that and I personally recommend Nebula by acustica audio.Have the best of both worlds. This set of presets is sampled to the highest specifications such that the difference between the sampled hardware and the sample you use is in the magnitude of negligible. This is truly analog sound in the box with no compromises. This set is sampled using Orpheus by Prismsound and is considered by some to be among some of the best convertors in the world. I have used short DIY gold tipped cables to connect the hardware to the box so there is virtually no loss in quality.Don’t settle for emulations costing far more and sounding inferior. Get great quality presets from my blog in the coming months. Next unzip the package and place the folder anywhere but in the Q-clone folder as it slows down the loading and the menu system is not that intuitive.I suggest you place them anywhere and use the load dialogue.On windows set the open dialogue explorer window to ‘list’ so that all the presets are visible without the need to scroll.The way to do this is to right click – go to view – and choose list.Not sure of a mac. The package contains 1055 presets.They are grouped by instrument but please note that some instruments from the same family differ so much in timbre that no preset is perfect every time.However because there are so many you will find that some presets overlap in their usability.A preset made for a piano may well suit electric guitars and those made for kick drum may well work on bass.There are no effective rules so please just go ahead and experiment with what sounds work for you. At this point perhaps you may want to download my other offering that compliments this library perfectly from my blog http://www.henryolonga.net/Blog/?p=266 . This package you want to unzip- and place in your q-clone presets folder which is in the Waves folder in program files.This is because you want to have this available to you in the preset menu.This will come in handy when you like a preset but wished it had an adjustment somewhere such as less bass : in that case you could use the high end tracking eqs low shelf to remedy this.Simply use the add feature in q-clone to add the adjustment using this high end tracking eq.And it also allows you to mix just with that particualr eq and avoid my decisions altogether – but what’s the fun in that hey…..
http://www.henryolonga.net/Blog/?p=478 .Some eye opening stuff there.Again – probably best not to place it in your q-clone presets as it is a vast library. Once you have unzipped the ‘Superlative eq expansion pack for Waves Q-clone’ and placed it in a convenient location such as the audio drive you use, you will want to take this package for a test run………..q-clone is so simple that even a novice could mix with it………just click load,chose a preset and off you go.If you like it ….great – if you don’t,try another until you smile…….. I suggest you use these first in your chain on a track.Obviously the buss stuff is exempt but I find that with the tight kits for example – if I compress after the Q-clone preset with a good compressor like CL 1B or Sonnox dynamics,it sounds crazy good.The full mix and drum folders may help lift your mixes to give them a polished sound.You may want to use these sparingly but on the right material these can be incredible. Once in a while there is a bizarre bug in the plugin that may either make the volume 12 Dbs or – 48 Dbs.So if you get your head blown off or hear nothing – check the level meter.All of the presets were sampled at unity gain so simply get things back to zero and re-save the preset. Also becasue of this please make sure you trim your track input by maybe 15 – 20 Dbs.In Cakewalk Sonar I just go all the way to minus 18.This is good audio gain staging anyway.There are also some really loud presets so please take care when loading them.Never run the plugin into the RED – it does not saturate so clipping is hard digital clipping that is very unpleasant. Please leave a comment on my blog if you enjoy the use of these samples and if you really dig them it will be of great encouragement to me to sample more stuff. 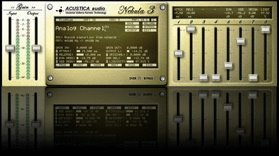 For all the Acustica audio’s nebula and Waves audio’s Q-clone users out there – you will already know that these are hands down the best software eq’s money can buy – period.They both have pros and cons to using them. 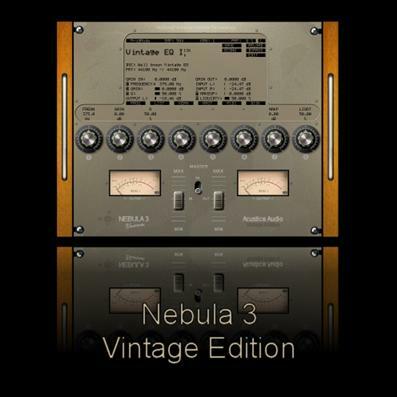 Nebula – wonderful as it is has some real issues.CPU,RAM usage and also the time required to sample hardware.It is highly tweakable based on how the emulations are sampled.Some of the best libraries out there from cdsoundmaster,Analog in the box and Alexb allow one to sweep through the eq just like the real hardware. Q-clone – wonderful as it sounds you cannot tweak the settings.It is however light on CPU,RAM and samples in seconds. So the best of both worlds is to use both in your sessions.Load up q-clone capture on a channel that has a digital out and return ( form a digital loop ) and after the q-capture plugin, load an instance of Nebula.Load up whatever you want to sample and using the q-clone plugin to get the snapshot of the eq settings.Done move on to the next track etc – soon enough you can eq your whole mix – capturing the sound of nebula and not suffering the ram or CPU hit. NB: THIS POST WAS FOR A PROMO PERIOD THAT RAN OUT MANY MONTHS AGO. There are still some free samples to demo here. Happy new year everyone and to start the year on a good note I thought I would surprise you with six new q-clone packages.About 2400 odd audio snapshots in total. Enhance your investment with q-clone by adding these presets to your colour palette.The links are near the pictures at the bottom of the page. Check out my first commercial release here for £10 in this post. The first is my colour suite.I have sampled lots of stuff in my studio and a studio I visited to make these babies.There is some Crazy good stuff here.Most of this is application driven whereas the rest are just settings snapshots with the odd application.Stuff I didn’t know q-clone could sample like short reverbs which adds a depth unlike anything I can describe.Check out the ‘odd stuff’ folder if you are into sound design. Some will be useful to you in some situations and on others – walk on by.Remember there are no rules – guitar presets can work for vocals or synths etc.Experiment.As with all the previous samples I gave I suggest you add the files to a folder outside your Waves Q-clone folder as having them all in there slows it’s loading time. ( only bummer is q-clone defaults to the last opened location ) The high end eq release is useful in the Waves folder in case you wish to add anything to your loaded preset like a cut/dip or boost.Overall however I suggest for you to use the open dialogue instead of the preset drop down menu.Up to you. PLEASE note – there is a bug in Q-clone that sometimes has the volume go to either 12 dbs or -48 dbs.Just set the eq back to 0 and save it.Also because of this please make sure you trim your track input by maybe 10 – 15 dbs.You don’t want a nasty shock……………there are also some really loud presets so please take care when loading them. 1st – suggest (again) to use the load ( open preset dialogue ) instead of downloading them into your q-clone presets folder.On windows set the open dialogue box to – right click – view – list.This will make all the presets visible.Dunno about mac. 2nd -obviously these are no good for tight notches and don’t work on everything so augment their use with your other eqs.An example may be that you like a preset but it is too bassy.Well simply use another eq to sort that out or remove resonance etc..
3rd – I suggest use these first in your chain on a track.Obviously the buss stuff is exempt but I find that with the tight kicks for example – if I compress after the Q-clone preset with a good compressor like CL 1B or sonnox dynamics,it sounds crazy good. 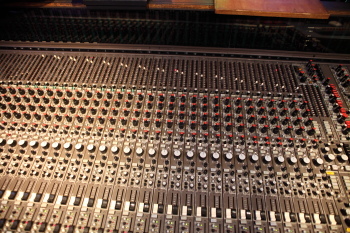 The rest are high end EQs.Enjoy… and let me know if these help you mix better.